Easter is here and although I am not religious at all I like the fact that you can gather with family & friends and have a good time while you eat a feast. 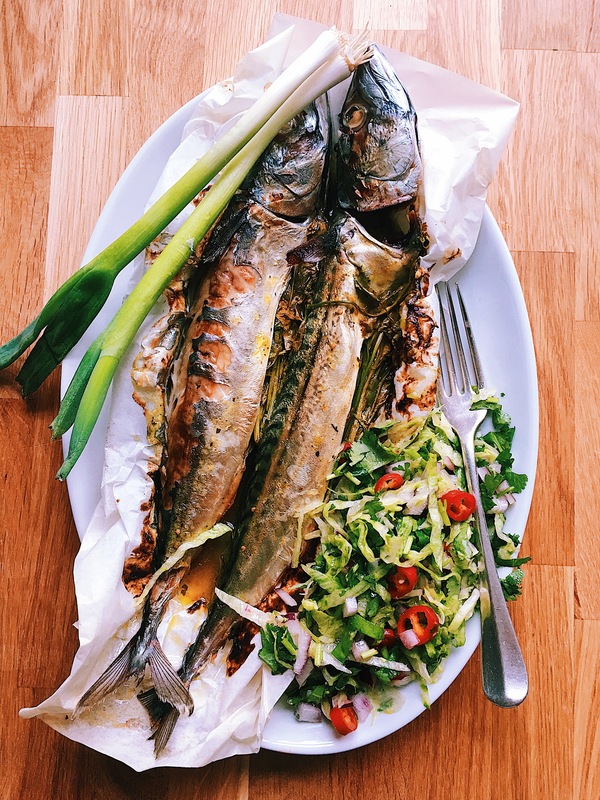 Today I cooked Mackerel marinated in a tomatillo salsa, a very easy but delicious recipe to eat during these days. I made a quick and easy lettuce salad to have with the fish, so I will give you the recipe as well here. Make the salad and leave it on the side. Mix all the ingredients, add salt & pepper. Make the tomatillo salsa. Put all the ingredients in a blender. Add a bit of water and blend until smooth. Set aside. To make the fish. Preheat the oven to 180 degrees fan assisted. 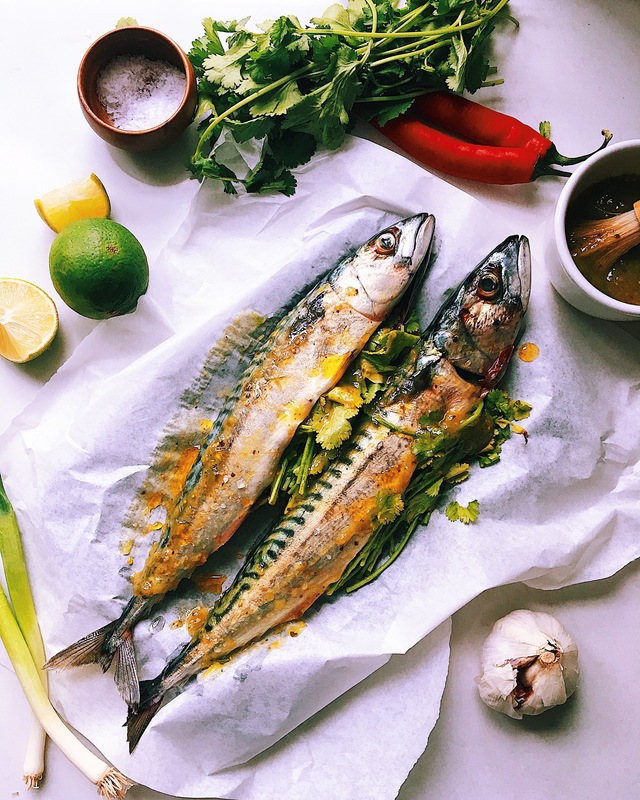 Place the mackerel on a parchment paper and put them on a baking tray. The fish has to be clean and ready to cook. Fill the fish with a bunch of fresh coriander, a bit of garlic, rub the tomatillo salsa all over the fish (in & outside) add salt, pepper & oil. Close the paper so the fish cook evenly. Place the fish in the oven and bake for 20 min or until the fish is properly cooked. 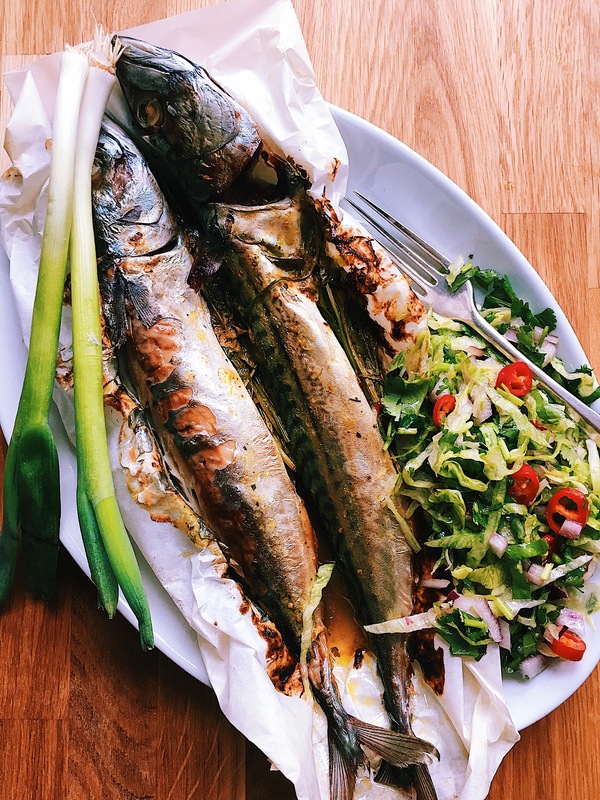 Serve the fish with some tangy & delicious shredded salad. You can also make some roasted potatoes to have with the fish. Enjoy!